Garam masala is an aromatic blend of spices which may be used whole or ground to a fine powder. (Curry) This recipe is my own, and so could be called Tandy Masala. You can tweak it and adjust it to your own taste but some ingredients are essential. Hmm, I can almost smell the wonderful aromas and I love the idea of rose petals. The trip was quite busy with rushing between Jo’burg, PE and Plett and back again in 10 days! So much and so little has changed in the 2 years since being here in Mauritius – strange. This sounds wonderful! I normally get my masala made by one of my Hindu or Muslim friends as so many of the factory produced ones have got no omph! that is the best way to get it made – however, I have never thought to ask my Muslim friends to do this for me. 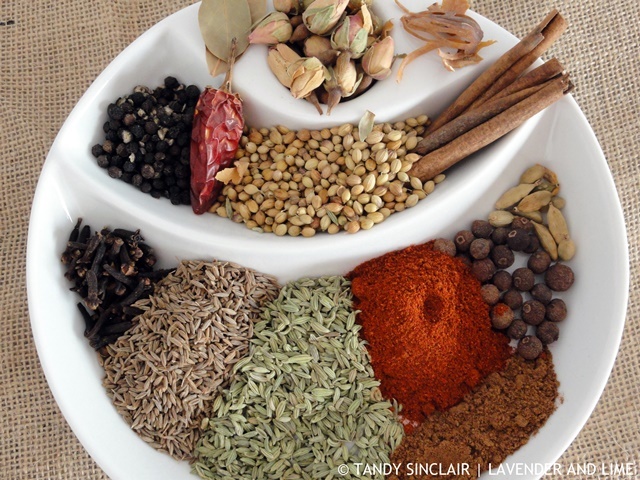 I will be posting ‘my’ curry powder recipe which is from our Muslim friend. THANK YOU FOR THIS RECIPE. I have been meaning to try my hand at making this from scratch for ages – you’ve just given me the push! Chilly here today, perfect weather for a curry!